Domestic Violence is a physical, emotional and spiritual injury caused by an intimate partner. 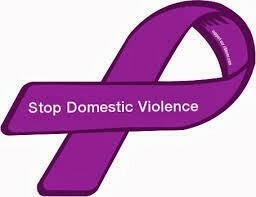 Domestic Violence is recognized as a major social and health problem. It is a pervasive problem experienced by members of every socioeconomic, cultural and ethnic group. We see that one way to address this problem is for us to train and teach women and men to identify areas where their families are overburdened and to increase their understanding of the dynamics of abuse. Project IMPACT’S Domestic Violence Program is an intervention that focuses on the members of the community that are caught in the cycle of abuse. We provide our services to the victim and the perpetrator. Our program addresses at-risk practices that could lead to injury, disabilities and/or death and the involvement with the criminal justice system. In addition, Project IMPACT provides services to children who have witnessed domestic violence and may have been negatively affected in terms of their cognitive, social and psychological development.